Tony Williams – a little bit shy and, yes, a little bit nerdy – made one really big splash while he was mayor. No, it wasn’t landing the Washington Nationals or actually balancing the budget. It was the big splash he made in city pools to open the summer swimming season. Williams made it a goal to improve recreation centers and get water into the pools on time. He celebrated by doing the Tony Williams Cannonball. But the mayoral gimmick ended when Williams left office in 2006. Neither successor Adrian Fenty nor Vincent Gray has taken the plunge. On Friday, Mayor Gray showed up in full business suit to sit in the lifeguard stand as a group of people jumped in to start the season. On Twitter and online elsewhere, people are demanding that the next mayor, whoever it is, bring back the Tony Cannonball. Well, to be truthful, at least a handful of people are promoting it. So News4 took the challenge to the three people we know are running for mayor. 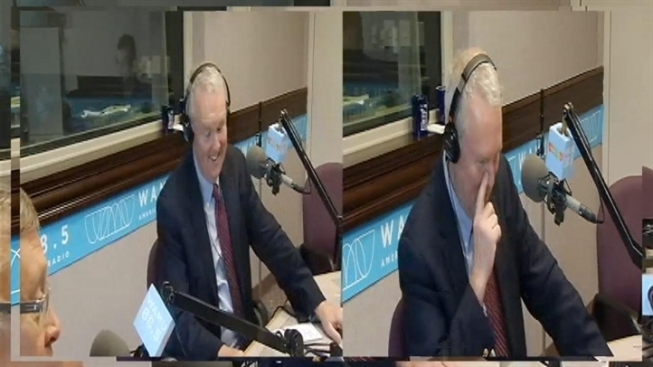 Ward 6 Council member Tommy Wells appeared on the WAMU 88.5 Politics Hour. We grilled him about reviving the tradition. Muriel Bowser, who met us in northeast Washington at Riggs Road and South Dakota Avenue, stepped up the challenge. “Why not,” she replied when asked about the cannonball. “And while we’re at it, we should do some laps.” She said it would be a good way to promote fitness. Both Wells and Bowser already are in the mayoral race. Ward 2’s Jack Evans – who is to become a candidate in early June – plunged ahead into the cannonball issue, saying, without pause, he “absolutely” would bring back the cannonball. Evans wondered if others were afraid to be seen in a swimsuit. “I don’t get it,” he said. Maybe former Mayor Tony Williams could come out of retirement --- no, no, not to run again, he won’t do that --- to do the cannonball every year.